By servicing your HVAC system bi-annually, 1 time in Spring/Summer & 1 visit Fall/Winter you can optimize your energy usage, keep your utility costs low and extend the life of your HVAC equipment! You wouldn’t drive your car 100,000 miles without changing the oil, would you? The same logic is true for your heating and air conditioning system. Your heating and cooling equipment is a large investment, especially in the harsh Las Vegas heat that makes your HVAC system work harder. To protect that investment and make it last as long as possible, an HVAC Maintenance Agreement is a must. Gibson Air offers heating and air conditioning maintenance agreements to help give you peace of mind and allow you to be energy efficient as possible! It’s suggested that you have your HVAC system tune up maintenance at least twice a year (Spring & Fall) by professionals like Gibson Air, to keep it running smoothly and at its best performance to save you energy and money in the long run! Protect your investment, save money and keep your home and family safe. To learn more about the benefits of routine maintenance, or to invest in a HVAC maintenance agreement, call 702-388-7771 or fill out our online contract form today! Gibson Air offers residential and commercial air conditioning maintenance services and is ready to take care of all your heating and air conditioning needs in the Las Vegas area. HVAC preventative maintenance contracts will help ensure your kept cool and warm all year round in Las Vegas! Included is 2 visit from Gibson Air for both AC Maintenance and Furnace Maintenance. What's Included In Spring AC Tune Up? Spring HVAC maintenance will ensure your kept cool all summer long! Fall HVAC maintenance will ensures your heating system is running efficiently & keeping your warm all winter long! Priority Calls, No Overtime Rates, Discounts & more! FREE “Advantage Card” with maintenance agreement! 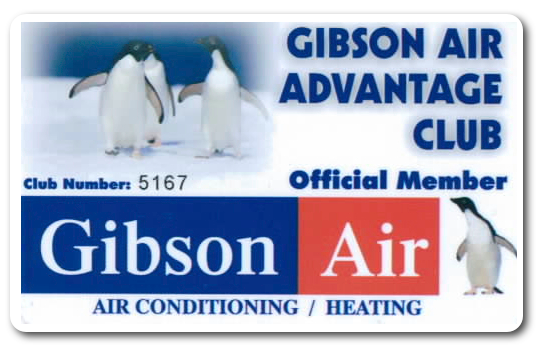 Each new customer who spends purchases a HVAC Maintenance Service Contract will receive a Gibson Air Advantage Card in the mail that entitles you to a bunch of money and time saving benefits! Lower Operating Costs – Well maintained equipment uses less energy. Improved Comfort – A clean indoor coil on an air conditioning system tends to remove more moisture. Fewer Repairs – Equipment that is regularly maintained normally have less costly repairs. Specials, discounts and coupons for air conditioning and heating services to save you money and energy! Check back each month to see our new coupons! Tips to keep your air conditioning unit running efficiently in the Summer and heating tips for the Winter! We also offer Financing Options through 3 major lending companies. Financing is available for new equipment financing OR repairs over $1500.00! If your unit is close to 10 years old or older, you may want to consider replacing it with a new energy efficient unit. Gibson Air offers FREE estimates on unit replacements!